Section 1 The Big Picture. Section 2 High Return Facts. 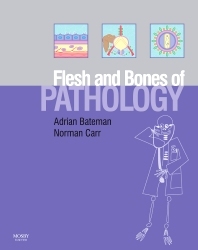 THE FLESH AND BONES OF MEDICAL PATHOLOGY presents a clinically-orientated account of the subject, covering all the key concepts you need with no gaps. You can use it either as an introduction to pathology, or as a revision aid.